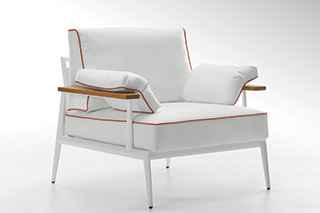 Cap Ferrat Armc hair has a matte-white aluminum base and teak armrests, and plush cushions with contrast welt in red. 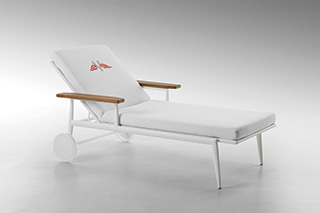 Cap Ferrat Adjustable Sunbed with optional embroidery has a mat matte-white aluminum base and teak armrests. 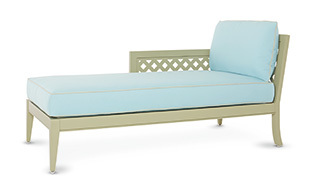 Soho Outdoor Sectional Sofa from Fendi Outdoor collection. 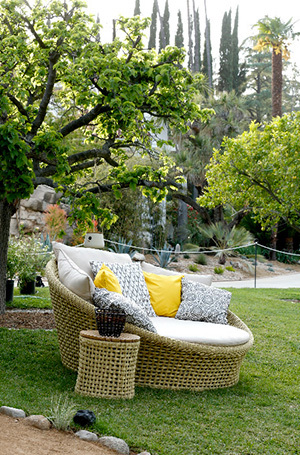 The renowned Brazilian outdoor furniture company has opened a flagship in California. Tidelli participated in the Pasadena Showcase House with several installations of their collection. 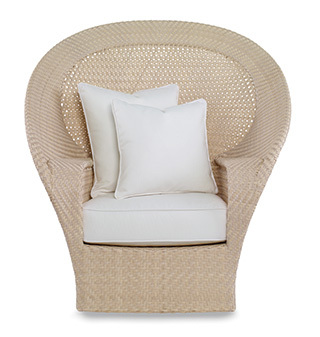 Puff Zigzag from the Objects collection can be seating, a table or just exterior decoration.